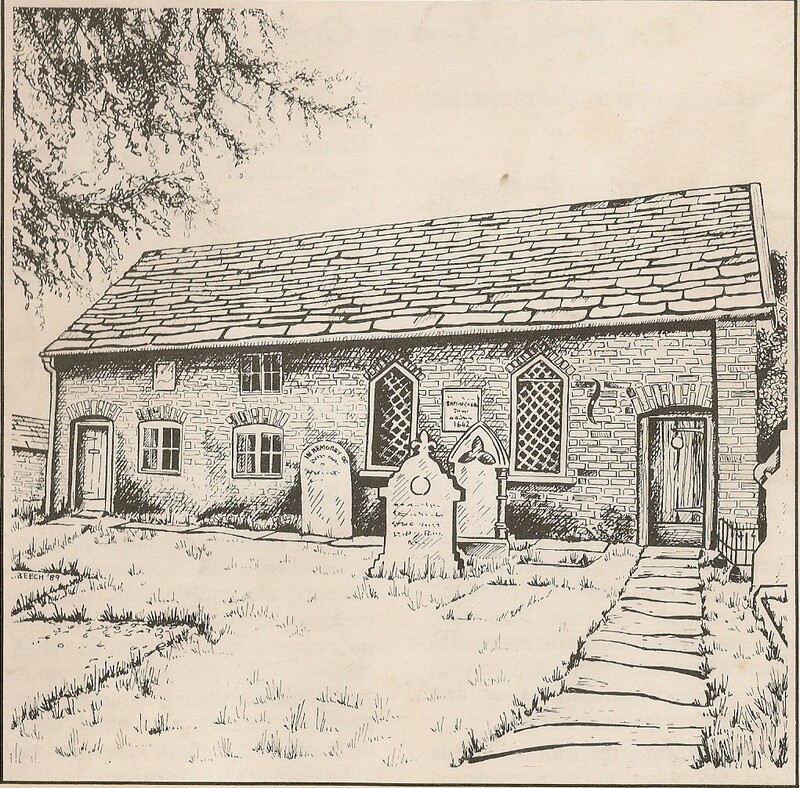 In 1989, a booklet was published about the history of the chapel, one of a series by a project called Cheshire Churches, sponsored by Cheshire County Council. It is very detailed and accessible, and is an excellent record of the chapel’s life over the years. As it is unknown how many of these survive, I have transcribed some of it below, complete with copies of the pen and ink drawings which make this series so distinctive. Any photographs used are my own. Information from other sources follows on from this. It was during the Civil War that the Baptist church spread most rapidly in England. Many members of Cromwell’s New Model Army were Baptists, determined to secure religious freedom, and as the army travelled about so the church spread. In 1649 John Wigan, a Colonel of the Guards, established the first Baptist church in Manchester. Other churchs were formed: the one at Great Warford claims 1668 as its date of origin, but in 1669, a conventicle (a clandestine religious meeting) of sixty persons was reported in the parish of Alderley, which suggests that the group had been firmly established for some years. 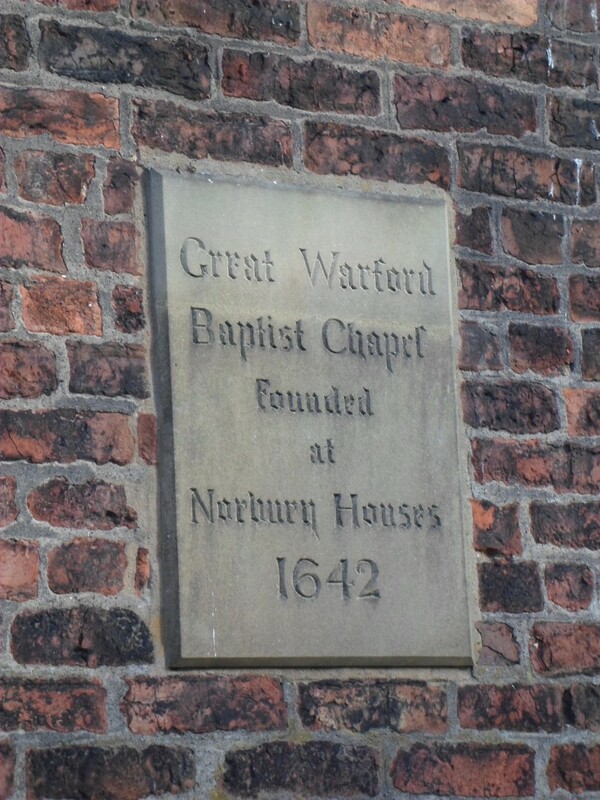 There is evidence that Baptists met at Norbury Houses in Ancoats Lane (a site now occupied by Mary Dendy Hospital) This was a cluster of cottages through which the parish boundary ran, some being in the parish of Alderley, some in Knutsford. It is said that when the parish officials from one area came to break up the illegal assembly, the congregation would quickly disperse to the parish next door until they were gone. Two years after the Act of Toleration in 1689, the church at Great Warford acquired a plot of land at Mottram St Andrew, about five miles away, to be used as a burial ground. It can still be seen, with graves dating from 1691, just past the joiners shop in Oak Lane. Access to the burial ground at Mottram St Andrew is through a private garden. It must have been a great relief to those who had been severely persecuted for so many years to be able to worship freely at last. At some point the Great Warford congregation stopped meeting at Norbury Houses, and moved to Pownall Brow Farm, about a mile from the present chapel. The Chapel at Great Warford is probably the oldest building in continuous use for Baptist Worship in the whole of England. In 1712, John Roylance, a member of the Baptist Church in Hill Cliffe, near Warrington, granted to the Baptists of Warford the lease of part of a field called the Intack, on which was a cottage and a barn. Or, rather he assigned the plot to four members “for a term of a thousand years, [paying two shillings at the feast of the Annunciation of the Blessed Virgin”. The barn was altered to form the chapel, the original Tudor wall can still be seen on the north side. Tudor wall in the local style known as “post and pan”. 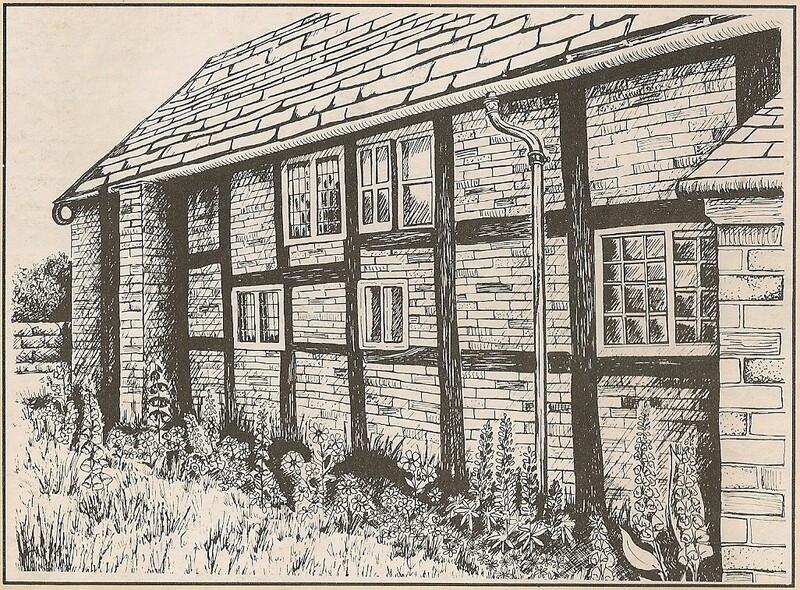 As the wattle and daub between the timbers deteriorated it was replaced with bricks. The window still retains its seventeenth century glass. The chapel is smaller now than it was originally, for in 1813, when the congregation had diminished, (partly because the minister, Thomas Holt, had persuaded some of its members to go to America), the building was divided in two, half being made into a cottage. Originally for the Minister, the cottage later became the home of successive caretakers. 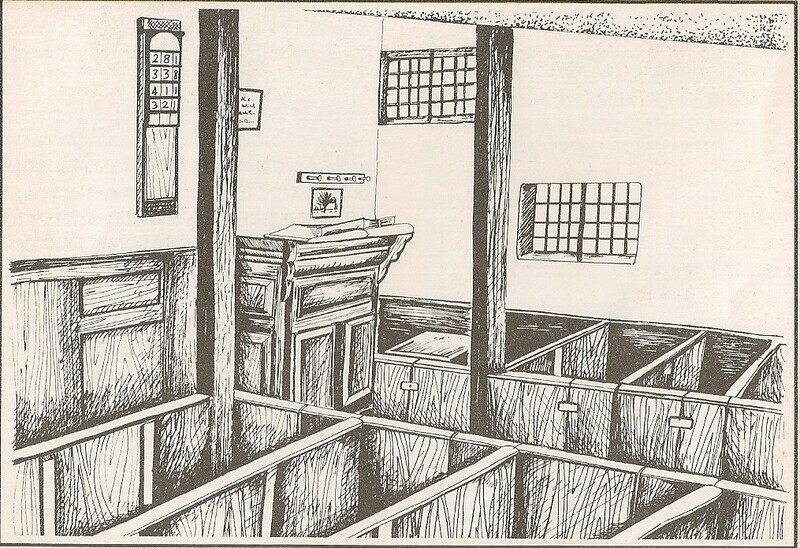 Formerly there was a gallery at each end of the chapel and the pulpit was centrally placed on the north wall. Now only the east gallery remains, with the pulpit facing it. Otherwise little has changed inside the chapel, which has retained its simplicity and charm. It is very different from churches of other denominations, whose congregations throughout the ages have felt the need to express their faith by extravagantly decorating their places of worship. Here, perhaps, where everything is spotlessly clean and lovingly cared for, a more down to earth faith is revealed. The furnishings are believed to be original; the floor is now flagged where rushes were once strewn, and extra supporting posts were added to the aisle when the roof thatch was replaced with heavy slabs of Kerridge stone brought from the gritstone ridge near Bollington. When you leave the chapel, notice the iron plate on the door (the other door has one the same). 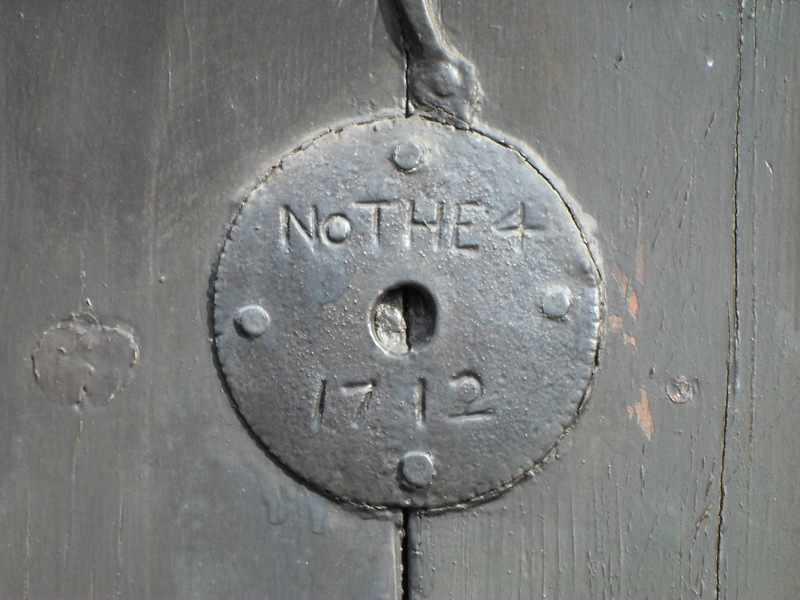 The meaning of the inscription is uncertain; some say it is a date – November 4th 1712 – but more likely it refers to the fact that this was the fourth Baptist Meeting House in the area. The oldest gravestone is to the right as you walk towards the gate. It is marked 1671 HB. 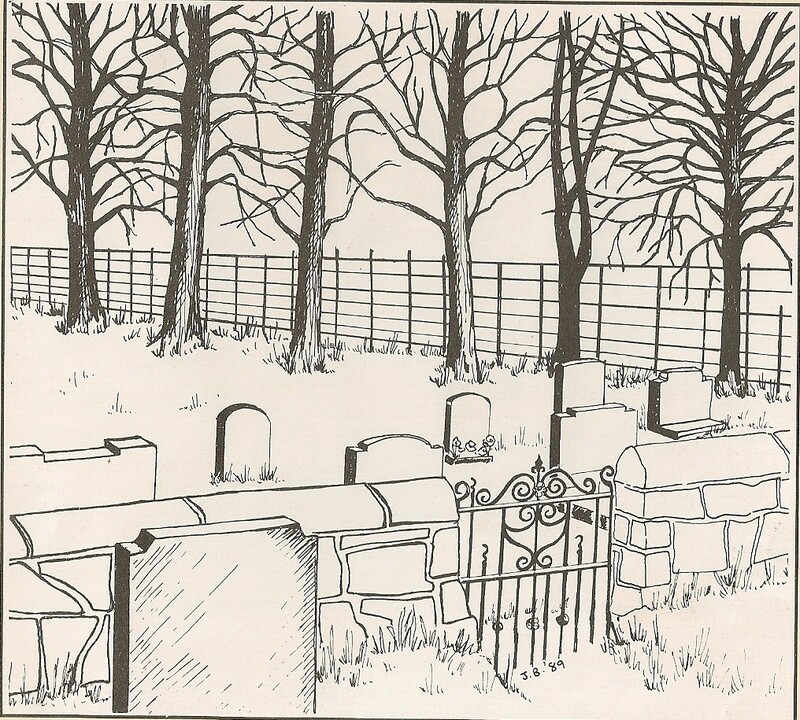 It was common for people in those days to bury their dead on their own land, in an orchards or some such place, which explains the presence of a grave that predates the chapel. 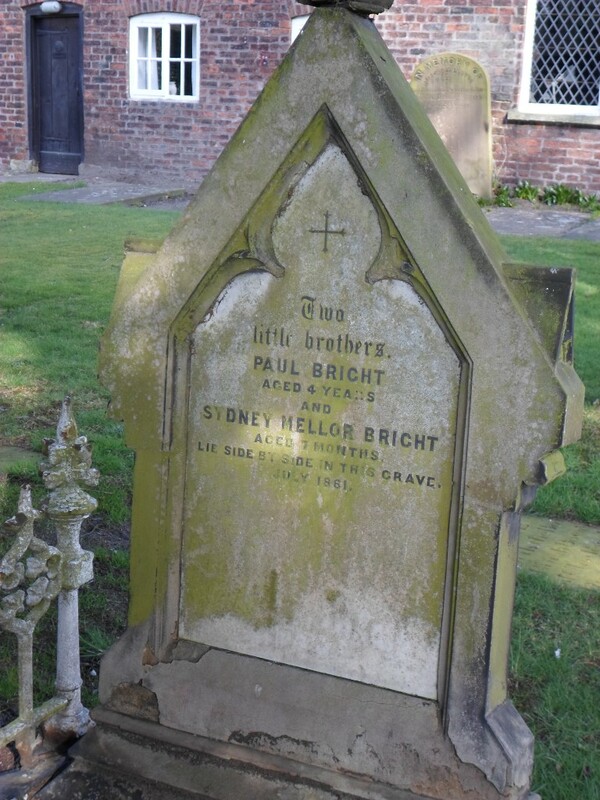 The grave by the gate, of the two little boys Paul and Sydney Mellor Bright is of interest. Their father, Jacob, the younger brother of John Bright, the politician and reformer from Rochdale, was just entering upon his own political career as parliamentary candidate for Manchester. He stayed for a time at the Queens Hotel in Alderley Edge, and there his infant son died of diptheria. 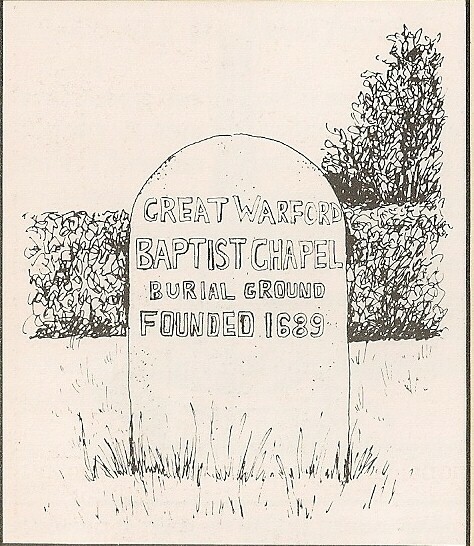 Being refused a grave at the church where he first applied, Mr Jacob Bright wrote to the Baptist minister, Mr Joseph Barber, who replied that there was only one place left at Warford that had not been appropriated, but that he could have it. The burial took place, and little boy Paul, who stood by the new grave, followed his baby brother within a fortnight. The sundial dates from 1813 – the year the chapel was divided in two – , and was erected by the minister, Thomas Holt, whose grave is nearby. The same date can be seen on the chapel wall where a window was blocked in during the alterations. The plaque on the wall states that the Baptist Chapel was founded in 1642, but no evidence can be found to support this date. However, there is a strong local tradition that attributes its foundation to a group of Baptists known to have been active in the area during the Civil War, and associated with the Parliamentary forces. You can see where the name , Great Warford, was cemented over during the last war, when all place names had to be obliterated. The graveyard has been extended twice during its long period of use. When the work was done, two sermons were preached by John Davenport, with a collection after each to help pay for the wall. In 1933, more land was bought beyond the wall behind the chapel, and here the most recent graves can be found. “The WHOLE Bible is the word of God. His Word is not to be fragmented, neither is there any need for it to be complemented by further so-called scared writings. It is complete in itself and sufficient. 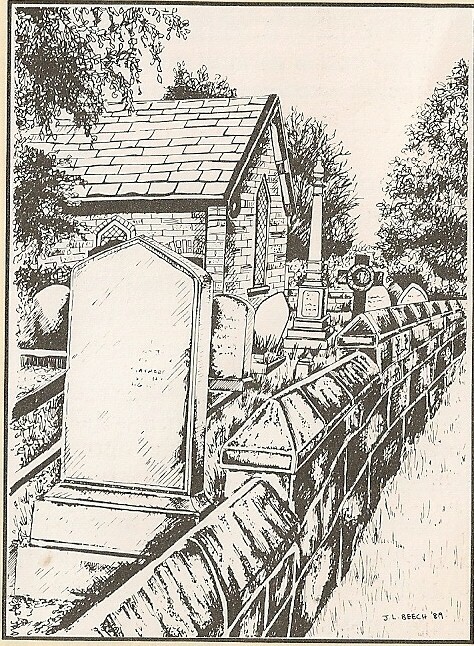 Taken from “A Peep Into Baptist History in Cheshire” by George John Barker, 1936. “The church has never possessed a baptistery on the premises. About a mile away in Fowden Lane not far from Chorley Old Hall is the interesting open stone built baptistery in use a hundred years ago and still in excellent preservation. It is found within the precincts of Orrells Well Farm. A few yards away on higher ground is the Well and on the lower side Mobberly Brook winds its way. Five lofty trees give a picturesque setting to the rural front. No service has been held here within memory, but Robert Hallworth, whose tombstone is prominent in the foreground of the Chapel, remembers baptisms here.